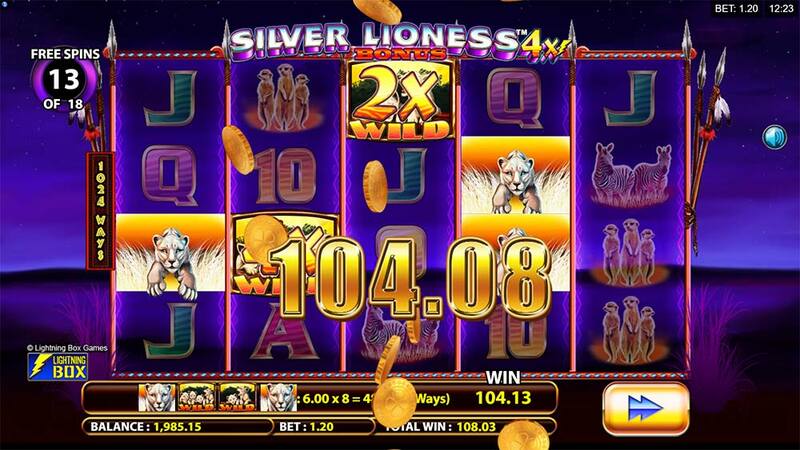 Lightning Box Is on the Prowl Again With Its Latest Slot Silver Lioness 4x. 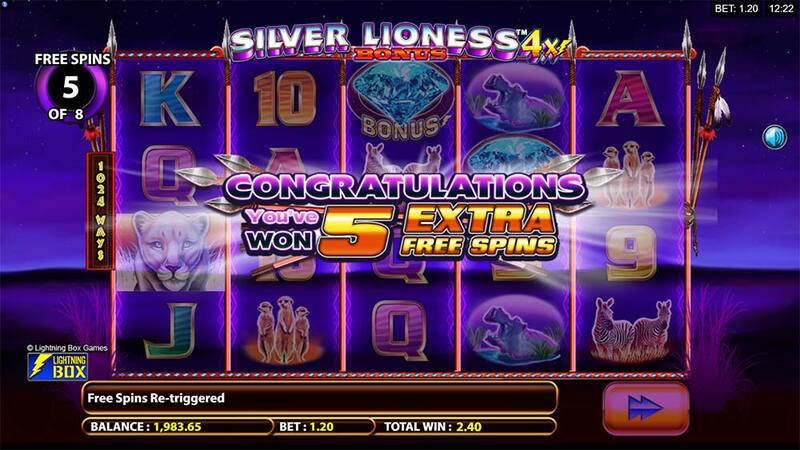 LeoVegas Casino has just added the brand new Silver Lioness 4x Slot from Lightning Box to their casino, this release is currently an exclusive at Leo Vegas until the 2nd May 2018 when it will be added to all casinos that use the Quickfire platform. 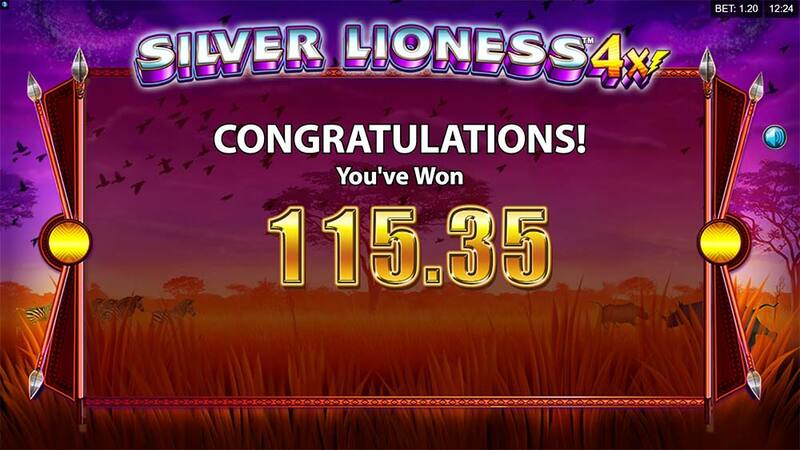 The Silver Lioness slot is a 5×4 reel 1024-way machine that is an Africa-themed title with a very similar design to their Silver Lion slot and with more than a hint of inspiration from the classic high variance Raging Rhino (WMS) slot. 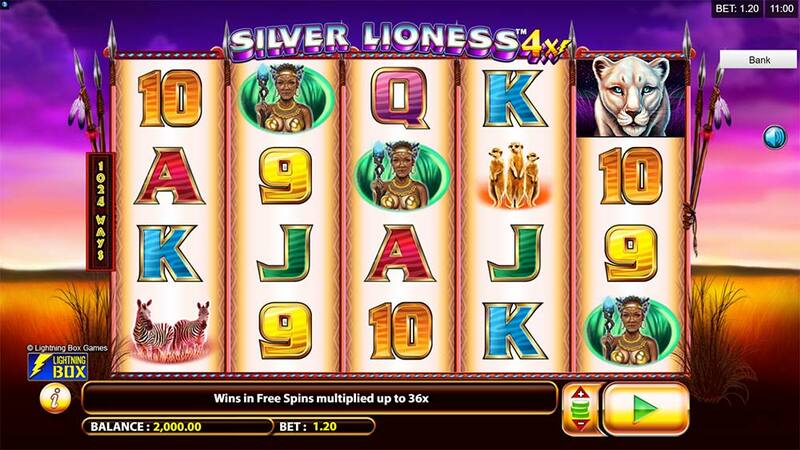 The key features to this slot are the stacked Lioness symbols and special Wild Cubs symbols which in the free spins round also act as multipliers in the 2x to 4x range, with several wilds in a winning combination these can increase the multipliers to up to 36 times, along with this there is also plenty of re-triggers on offer with just 2 of the Diamond Scatter symbols granting an extra 5 spins. 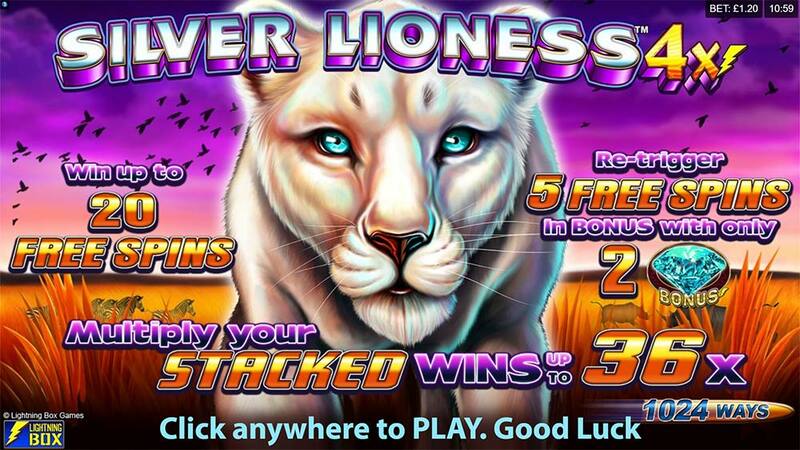 Whilst the graphics do look a little dated this is a slot that promises some fantastic win potential thanks to the number of free spins and re-triggers that are possible along with the huge multipliers when several wilds land in view. 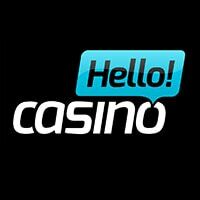 The main downsides are that it doesn’t really offer too much in terms of exciting features when comparing to classic slots such as Raging Rhino, in essence, it’s just more of the same from a different provider. The free spins round is triggered by landing 3 or more of the special Diamond Scatter symbols anywhere on the reels, the greater number of scatters the larger the number of free spins that are initially awarded in the range of 8-20 free spins. During the free spins, the Wild Cub symbols also act as random multipliers in the range of 2x to 4x, these will also multiply each other if more than 1 wild symbol lands in view. The multipliers can reach a maximum of 36x in total with a 4x, 3x and 3x Multiplier. There is also lots of re-trigger potential on offer with just 2 Diamond Scatters required in order to get 5 more extra free spins. 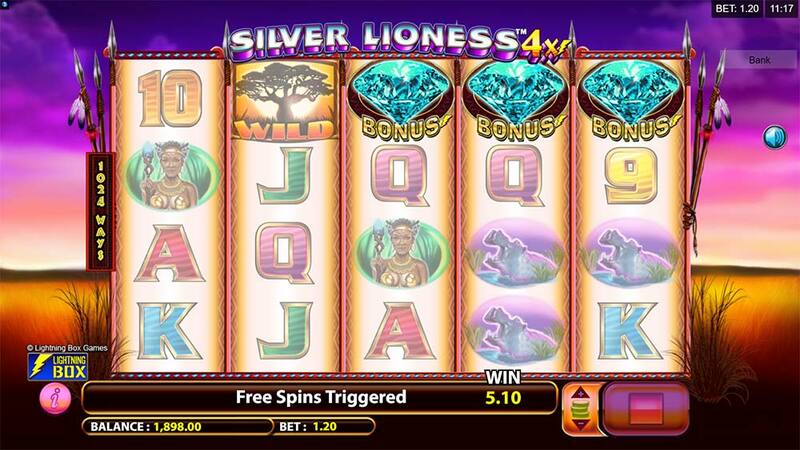 Silver Lioness is an average slot release from Lightning Box, whilst it has incorporated many features from Raging Rhino (Multipliers and Re-Triggers) it has failed to add anything really new and exciting into the mix and the graphics look quite dated, as a result, it really doesn’t stand out from the crowd. In our playtests, we managed bonus round in the range of 20x up to 100x with plenty more potential if you get a dream hit of 3 multipliers, along with several re-triggers, the potential is there if you stick with this slot. Overall though this slot really doesn’t bring enough new excitement to the scene for regular slot players, something to try if you want to check out newest slots but honestly it’s not a Raging Rhino challenger long term.